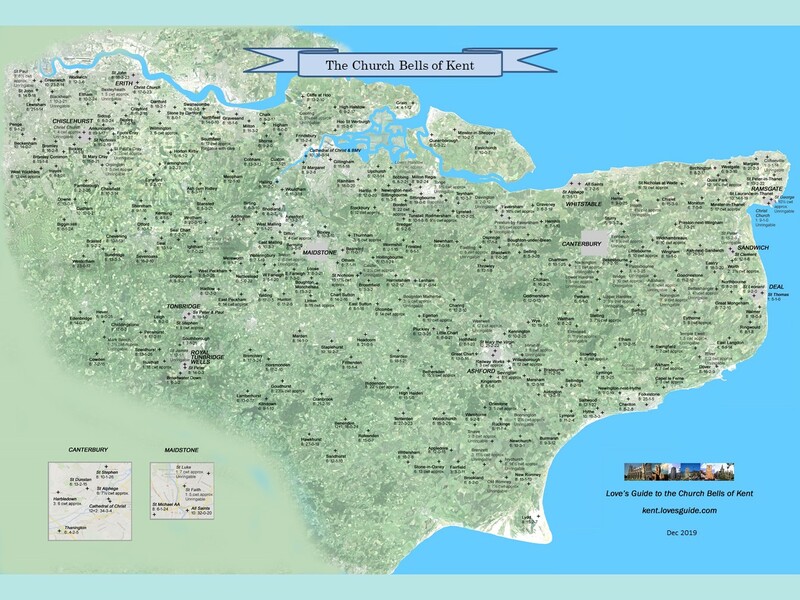 Love's Guide to the Church Bells of Kent is a window on the belfry archaeological research by Dickon Love on bells in the traditional County of Kent (which covers Medway and a number of London Boroughs). Information comes from many sources and Dickon is grateful to all those who have contributed to this research. Any corrections, comments, additions or observations would be gratefully received. Click here to download the map poster. 2 trebles to augment Monkton to 6 have now arrived, were dedicated on Sun 25 Nov and will be hung in December. More to follow! Work has started on restoring and augmenting the bells at Milton Regis. 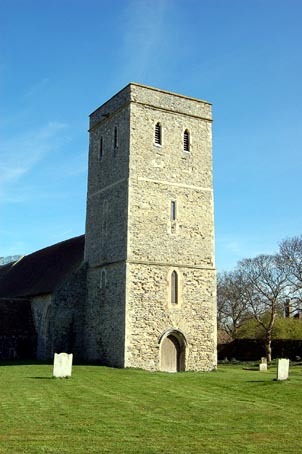 The 6 bells have been removed from the tower and are to be refurbished by Whites of Appleton, and augmented to 8. The back 3 bells have been rehung with new framework and fittings by Taylors. The 5th was found to be cracked so was welded by Soundweld. This now completes the original project to augment the former ring of 3 into a very useable ring of 6. 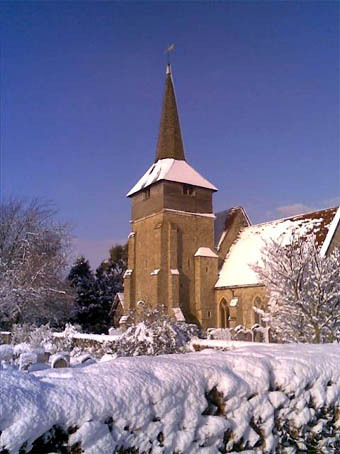 The cracked tenor has now been replaced by a new bell from Child Okeford (hanging 3 May 2018). More details will appear here in due course. A 6th bell has finally been hung at Broomfield, although further work is due to take place here to improve the swing times of this new augmentation. 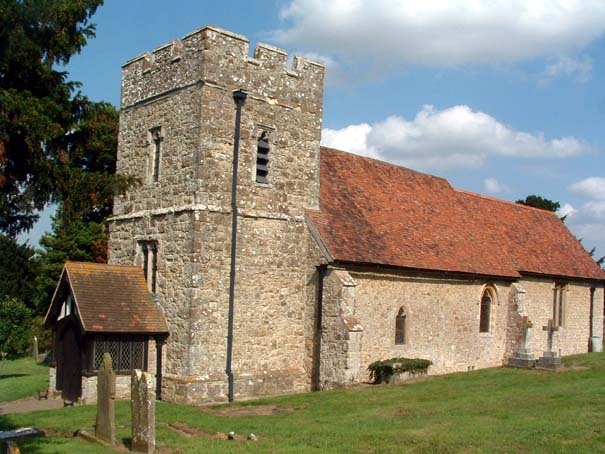 26 Sep 18 Cantebury (All Saints) Photo (David Cawley) and new material. 19 Aug 18 Walmer (Sacred Heart, RC) New page. 19 Aug 18 Canterbury (St Augustine's College) New page. 05 Aug 18 Folkestone (Christchurch) New page. 02 May 18 Canterbury (St Dunstan) News on the opening of the bells in 1778. 02 May 18 Canterbury (St George) Record of payment to a man to ring the tenor each morning at 4am for 15 minutes. 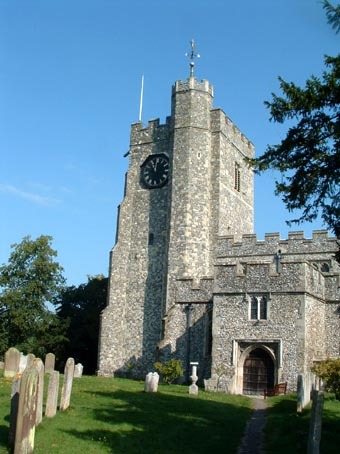 02 May 18 Elham News on the opening of the bells in 1809. 02 May 18 Gillingham The "controversial" opening of the bells in 1811. 02 May 18 Lyminge News on the opening of the bells in 1810. 02 May 18 Maidstone (All Saints) News on the opening of the bells 1784. 02 May 18 New Romney News on the opening of the bells 1805. 02 May 18 Cantebury Cathedral News on the opening of the 10 bells in 1802. 02 May 18 Folkestone (Ss Mary & Eanswythe) News on the opening of the bells 1813. Dickon Love is an active bellringer in the City of London and is a Past Master and Hon Librarian of the Ancient Society of College Youths, who are responsible for ringing the bells at the major towers in the City. He is Tower Keeper/Captain at St Magnus the Martyr, St James Garlickhythe and St Mary Woolnoth. He conceived and ran the projects to install the new bells at St Magnus the Martyr, St Dunstan-in-the-West and St James Garlickhythe. The latter of these are the Royal Jubilee Bells which he managed when they rang on the River Thames, leading the Thames Diamond Jubilee Pageant. He is Churchwarden at St Magnus the Martyr, Parish Clerk of St Clement Eastcheap and the 'Company Bellringer' for the Worshipful Company of Parish Clerks. He is also a member of the Cambridge University Guild and resident member of the Middlesex County Association & London Diocesan Guild, the Kent County Association and the St Martin's Guild for the Diocese of Birmingham. 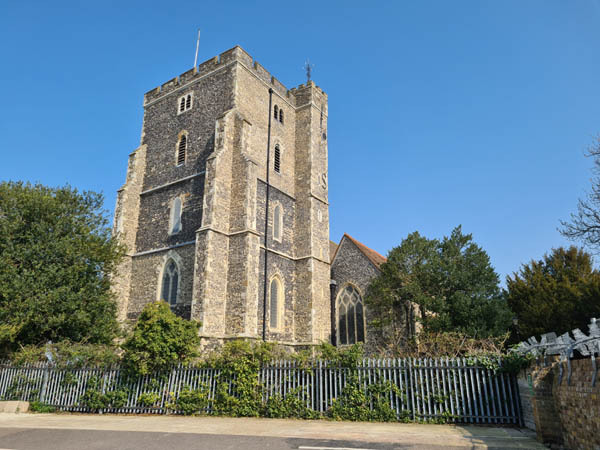 His primary interest is in the history of bells and bell towers, and the focus of his research is on the the Cities of London and Westminster and the County of Kent. He makes his living as a management consultant working in central government.